You are going to Watch RWBY Volume 2 Episode 10 online free episodes with HQ / high quality. Stream cartoons RWBY Episode 20 Online Weiss, Blake, and Yang are left uneasy by Oobleck’s questions and their motivations. Weiss admits she wants to restore the dignity of her family’s name due to her father’s moral grey actions, Blake believes she runs away all the time, and Yang thinks her desire for adventure and being a huntress fall in the same category. Weiss points out that being a Huntress is a job, and they will have to put their needs behind the people’s. Oobleck, who pretends to be sleeping nearby, smiles upon hearing this. 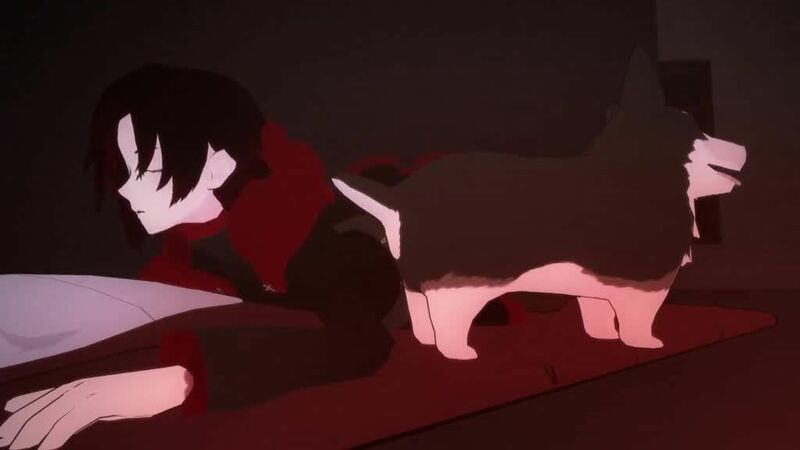 Ruby follows Zwei outside, and spots two White Fang members. The ground caves in beneath Ruby and she falls into an underground tunnel, discovering Torchwick’s hideout. Zwei fetches the others, leading them to the hole Ruby fell in. Oobleck recalls how Mountain Glenn’s citizens made an underground village but were attacked by subterrainean Grimm, and rallies the girls to save Ruby.